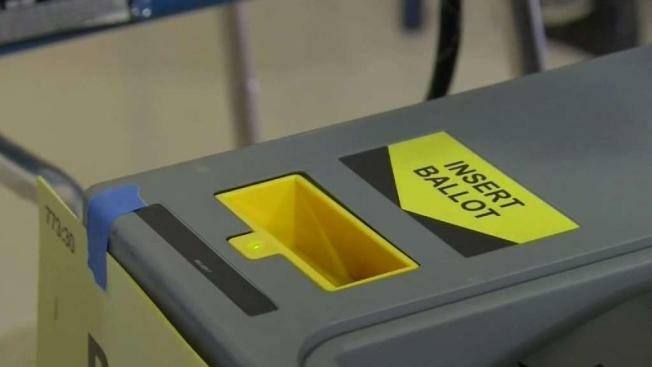 Santa Clara County hosted a free, daylong election security conference Wednesday at Google's Mountain View campus, with a keynote address from California Secretary of State Alex Padilla. County Board of Supervisors President Joe Simitian moderated the event, titled "Protecting the Front Line: County Election Security in the 21st Century." "If we want to make sure that the vote count is right, counties have to get the job done, and we’ve got to be on the front lines of this security conversation in terms of making sure that our systems are safe and sound," Simitian said. Speakers from technology, law and policy backgrounds discussed protecting votes at the ballot box in Santa Clara County and the Bay Area. Padilla said a number of voting machines are outdated and counties across the country need more money for better computers and software to count ballots and mark them for people with disabilities. "We must make a commitment," Padilla said. "Not a one-time commitment, not a once every 15 year commitment, but a sustained commitment to invest in our elections." Padilla also noted that this year, California’s budget has an extra $134 million just for upgrading election equipment. And for the first time, he said, his office sends alerts and emails to registered voters with easy instructions on when and where to vote. Barbara Simons, a computer scientist and board chair of Verified Voting, spoke on one the panels, arguing that ironically, using more traditional, low-tech systems like paper ballots is the safest way to vote. "At this point, we really don’t know of a better, more secure option," Simons said. "Computers can make mistakes, they can have software bugs, there can be hidden malware, and we now have to worry about hacking." Panelists included California Voter Foundation President Kim Alexander and professors from Stanford University and the University of California at Berkeley. Santa Cruz County Clerk Gail Pellerin, Santa Clara County Chief Privacy Officer Mike Shapiro and San Mateo County Supervisor Warren Slocum closed the day with a "County Perspectives" panel after the lunchtime keynote by Padilla.